The meaning of the surname Woodman is fairly self-explanatory, although in the Middle Ages it could also be a form of “Wodeman”, someone working with woad (the most common form of dye). Interestingly, in Victorian times, the distribution of the surname Woodman was mostly in the South and South-west, although also quite a number in Northumberland. 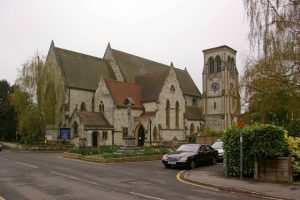 Charles William Woodman, Frank’s father, was born in 1872 in Reigate, Surrey, and baptised on 15th September in St Mark’s Church. He was the son of Charles Woodman (No 1), gardener, born 1846 Effingham, Surrey, and his first wife Eliza Trevatt who died when Charles William was four. Frank’s parents (Charles William Woodman and Rose Gibbs) were cousins. Charles No 1’s mother Martha Longhurst was twice married: first, to Richard Woodman, whose son Charles was, and second, Bartholomew Bennett : her daughter with him Lydia Ann Bennett was the mother of Rose Gibbs. In 1881 the eight-year-old Charles William Woodman is living with his grandmother Martha and her second husband Bartholomew Bennett at No 1 Balchins Lane, Westcott. By 1891 Charles William is working as a labourer and living at Nutley Lane, Reigate with his father Charles No 1 and Charles’ second wife Ellen (nee Large). Charles apparently became a regular soldier in the Royal Dragoon Guards. His service included India and the Boer War. Back in civilian life, he married his cousin Rose Gibbs, and worked as a gardener. From 1911 he and his family were settled in Westcott, in Victoria Road until at least 1919, and later in Bailey Road. Rose was baptised 9th February 1873 in Holy Trinity, Westcott, the daughter of Alfred Gibbs, garden labourer, and his wife Lydia Ann, nee Bennett. (Lydia Ann was half-sister to Charles Woodman’s father, Charles No 1 – see above.) 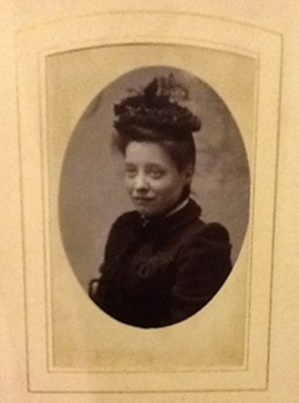 In 1881 the eight-year-old Rose is with her parents and siblings in Westcott Street, but by 1891 she is a servant in a baker’s household in Croydon. By 1911, Charles Woodman is home from the Army and he and Rose are living in Westcott, with Frank’s four younger siblings. Eighteen-year-old Frank, the eldest son, is in Denbies gardeners’ bothy. 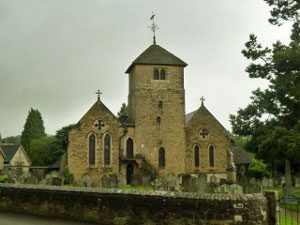 By 1927 when their youngest daughter Clemence was buried in Haslemere, Surrey, Charles and Rose were living there in Bunch Lane. 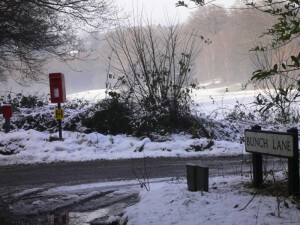 In 1931 the couple are in Shottermill, a village a mile west of Haslemere at 2 Eden Cottages, Lion Lane. By 1934 they had moved back to 2 High Lane, Haslemere where they stayed until they died (Rose on 18th September 1938, Charles in February 1948). Rose died in Haslemere Hospital aged 65 and was buried on the 22nd at Haslemere Church. Frank’s four siblings were: Edith Lydia, born 1900, Norah Evelyn, 1905, Clemence Nellie, 1907 and Kenneth Charles, 1910. Frank fits in here in the family tree, born 1893 and dying in France in 1918. See his page for more information. Frank’s oldest sister Edith Lydia was born in Great Bookham in 17th April 1900 and baptised in St Barnabas on 21st July. Her second name is that of her maternal grandmother Lydia Ann. By 1911, called simply Lydia, she is in Westcott with Charles and Rose and several other siblings. On October 28th 1917 Edith Lydia Woodman aged 17 was married by licence in Holy Trinity, Westcott to Frederick Charles May, aged 21, a chauffeur from Haslemere whose father was John May, an eponymous woodman! Edith and Frederick had at least one child. Frederick was a bus conductor until during WW1 he went into the Army Service Corps (Motor Transport). However, he was soon discharged to pension on grounds of ill-health. Despite these health problems, he lived until 1956 and was an omnibus driver at his death. His address then was 56a Wey Hill (now the shopping street of Shottermill). Edith Lydia died in 1983 aged 83. Frank’s second sister was born in Westcott on 16th July 1905 and baptised on 3rd September in Holy Trinity. In 1911 aged 5 she is with the family in Westcott. What happens to her after that is not certain, although she may be the Norah E Woodman who married James Boxall in Midhurst, Sussex, in 1930 and had three children. Sadly, the life of the youngest Woodman daughter was extremely short. Clemence Nellie Woodman was born 18th April 1907 and baptised at Holy Trinity Westcott on 19th May. 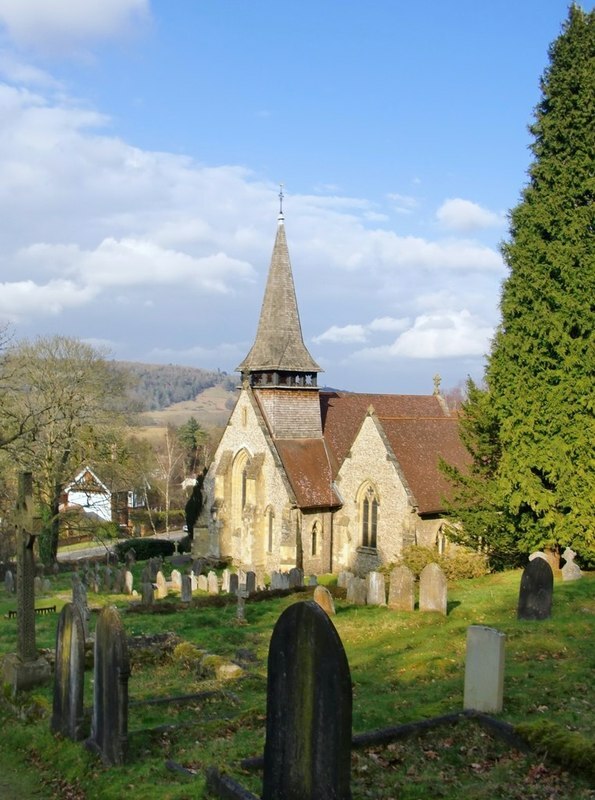 However, she died aged only 19 in London City district in 1927 and was taken back to Haslemere Parish Church for burial on 5th March. 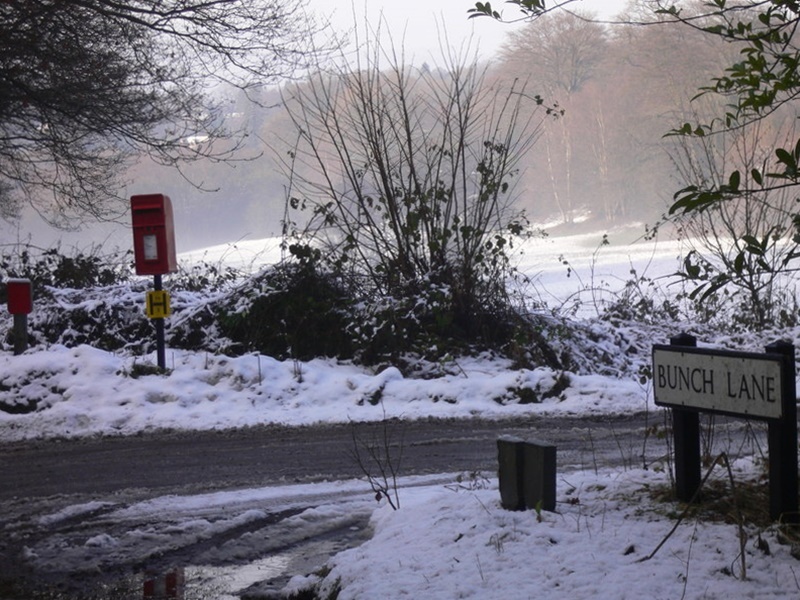 Despite her death in London, Clemence’s address was given as Bunch Lane, Haslemere, probably where her parents Charles and Rose Woodman were living. Born on 14th January 1910, the youngest Woodman child was baptised at Holy Trinity, Westcott on 6th March. By 1931 he was living at Shottermill with his parents Charles and Rose. In 1934 in Sunderland district he married Annie Clark, born 1909, daughter of a Sunderland shipwright. At first the young couple lived with Charles and Rose at 2 High Lane, Haslemere. Kenneth and Annie had children and grandchildren. Kenneth died in 1984 in Surrey, Annie in 1993 in Kent. This is a composite list of the sources consulted for all members of Frank Woodman’s family, but details for the individual family members are available if required. Virtually all of the sources mentioned can be viewed online via Ancestry, Find My Past and Free BMD.